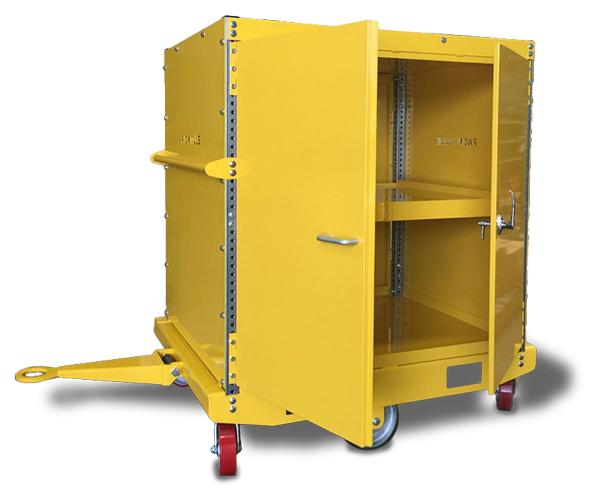 PACK MULE's Custom Cart solutions provide the engineering and application design resources to meet your needs. Plus, we’ll get it to you in half the time other trailer manufacturers require, sometimes a lot less than half. 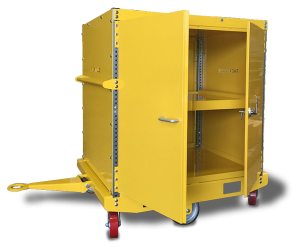 We’ll be glad to provide a towable cart for you to try, doing your work in your work environment. When you use it, you’ll see that the Pack Mule towable cart is stronger, safer and built to reduce both downtime and maintenance. Pack Mule’s six-wheel, center-pivot trailers, like all Pack Mule trailers, are built for high-volume, critical applications—applications where you have to have a trailer that works shift after shift. These trailers range from order pickers with Pack Mule’s exclusive bolt-on shelf system to the fast-loading single pallet trailers. Pack Mule has also adapted the six-wheel trailers to a variety of specific applications. 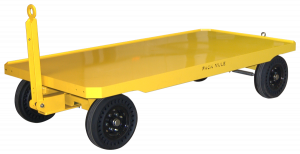 Pack Mule trailers work seamlessly with Pack Mule electric vehicles. 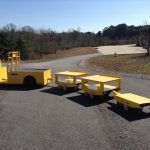 Pack Mule Caster Steer trailers (2 fixed wheels and 2 full swivel wheels) are a cost effective solution for applications that require carts with good tracking on a variety of surfaces. Pack Mule Quad Steer trailers (also called 4-wheel or Linked Steering trailers) offer you the most rugged construction and greatest flexibility in the industry. They increase material handling efficiency and lower the costs of moving materials horizontally, especially on rough surfaces and uneven terrain. Rugged construction, built for high volume, mission critical applications. Pack Mule’s exclusive bolt-on shelf system, allowing you to choose the number of shelves you need, either when you order the trailer or later, if your needs change. A full range of options (such as our unique Hush Kit for applications where noise is an issue) that let you configure your trailers to your needs. In-house design and application engineering support—at no charge. 6-ply, Load Range C Pneumatic tires and wheels with automotive-grade tapered bearings. If your work environment requires solid tires, they are an option. A safer material handling system can actually cost a lot less. Forklift safety records are well documented. OSHA and the ITA estimate that 9 out of every ten forklifts will be involved in some sort of accident over their useful lives. And many of these accidents result in injuries or even death. Not so well documented are the costs of using forklifts for the horizontal movement of materials. Many companies that have added industrial electric vehicles and towable trailers to their material handling systems are finding that using forklifts for vertical movement and EVs and trailers for horizontal movement significantly reduces capital costs and material handling expenses. Elec. Power Used $2,000/yr. $500/yr. * $38k amortized over 5 yrs. Compare the cost of owning a forklift truck with a tow tractor and two trailers. The annual per pallet carrying capacity cost is reduced by over 92% by integrating the EVs and trailers. The difference is even greater between gasoline-powered forklifts and industrial electric vehicles. The precise details of forklift-EV integration vary with every plant. The rule of thumb is to allow each type of material handler to do what it does best. However, greater economies of ownership and use go well beyond the rule of thumb. That’s why Pack Mule sales engineers work with customers to determine just what mix of vehicles and trailers—and how those vehicles and trailers should be configured—result in the greatest productivity as well as the lowest cost of ownership and use. 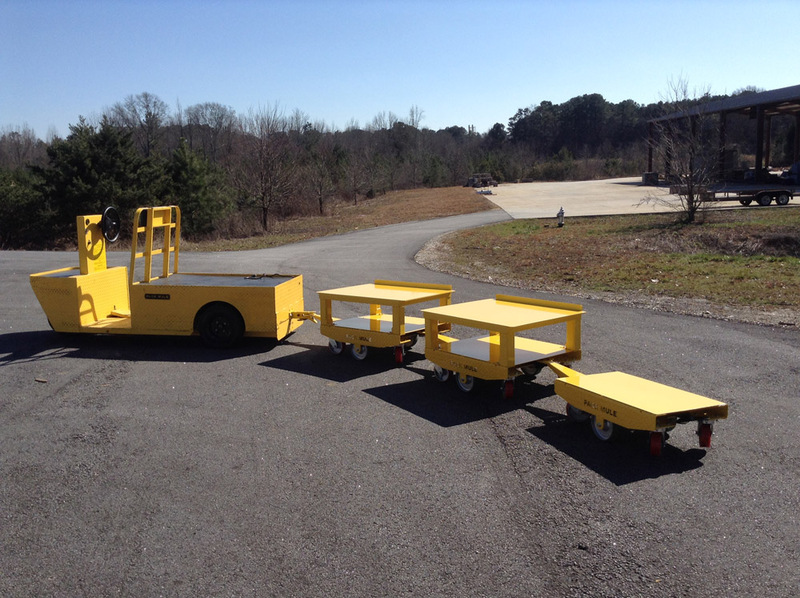 A few of PACK MULE's Custom Cart solutions. 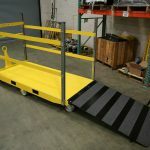 In order to make the best towable carts in the industry, we look at the competition to make sure ours is built better. Here are a few of the features you get with a Pack Mule trailer that you can’t get with others. RUGGED CONSTRUCTION: The industry’s only deck formed from a single sheet of steel. Others use lighter-weight steel and welded decks. FLEXIBLE CONFIGURATION: Get the trailer you need fully configured without delays and order accessories at any time if your needs change. Nobody else has that. SERVICE AND SPEED: We’ve learned what it takes to buy a trailer from the others. We'll get you the trailer you need with less hassle and in half the time as the others. Sometimes sooner. THREE YEAR WARRANTY: Pack Mule offers the only three-year warranty in the business, just like we do on our electric vehicles.